In the past, skincare products were only meant for women but this is not the case anymore. Due to the recent researches and discoveries, there are many specially formulated skincare products for men. Sun burns, shaving cuts, inflammation and abrasions are just but a few skin problems that men are susceptible to. 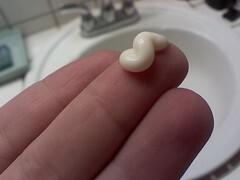 However, when a man uses the right face cream for his skin type he gets relief from such conditions. This explains the importance of an exclusive and special facial cream for guys. Using the right facial cream for men provides immediate comfort from certain skin conditions common in guys and helps to eliminate wrinkles, fine lines and age spots. You can find the best cream by carrying out a little research and ensuring the product contains ingredients which are clinically tested and proven. 1. Wash your face thoroughly before applying any product. Pat dry using a clean towel. 2. Put a little amount of the cream on your hands and apply sparingly and correctly on your face. 3. Begin with the middle section of your face and massage the face cream gently moving upwards. 4. Apply some cream at the mid point of the forehead and gently massage around the eyebrows’ corners, from the middle of the eyebrows progress down the eyes with a spherical motion. 5. Massage the nose moving downwards to the nostrils then to the temples. 6. Apply cream on your cheeks and progress downwards towards the chin and massage gently. Begin by applying limited quantities of the cream and increase gradually as you establish the right amount for your skin. Usually, an application of facial cream is accompanied by other products like facial cleaners, toners and moisturizes. When applying the cream always massage thoroughly for complete absorption into the skin. It is advisable to clean your face at night when going to bed. Buying the right cream for your face can be intimidating especially if you do not know your skin type. You have to identify your type of skin to get the best skincare product. There are different creams formulated for oily, sensitive and dry skin. This type of skin is characterized by too much secretion of sebum making the skin very shiny. Therefore, if you have an oily skin you should avoid creams with excess oil and glycerin. Facial creams with green tea and tea tree are the best for this type of skin. They also shield the skin from any harm. This skin type reacts instantly to cold and heat or to soaps and creams with strong chemicals. A man with a sensitive skin is vulnerable to certain allergic reactions. The right facial product for a guy with this skin type is mild creams and soaps. Dry skin may be a big problem particularly in winter season. The skin may become itchy and rough and may start to flake. This is because dry skin has less moisture and fatty oils as compared to normal skin. Hence the best face cream for a man with dry skin is one that contains Shea butter and glycerin. If you do not take care of your skin properly you are likely to suffer from dermatitis. Using the right face cream for men is very important to help your skin look healthier and younger. However, ensure the ingredients in the cream are natural and not synthetic.